The best places to get a drink in everyone’s favourite state. Gone are the days of only mixed drinks at beach shacks and fish curry rice — the Goa of today boasts luxe bars and hipster havens that rival the metro cities. The contemporary restobars maintain their charming heritage and draw upon local flavours in their innovative menus. The design has moved beyond coconut branches and laterite stone, to modern minimalistic influences and twists. Discover the new Goa on your next visit, and stop by any of our picks for its best alcobev venues. India’s first luxury sea lounge rests in the river in Morjim, with a picturesque island and flocks of birds in sight. A smaller boat takes you onboard, where you can kayak by day and party at night. The international menu has been curated by Maneck Contractor (of Fiesta fame), and they cater to groups looking for an exclusive experience. The maritime inspired design — with classic wooden flooring and plush outdoor chaises across the upper and lower decks — adds to its unparalleled atmospheric appeal. Each evening, as the sun goes down and the twinkling lights of Flor Do Mar invite you aboard, life seems to slow down a breath, and as you switch off, your mind and body begin to sway, and you are transported into another world. You would be hard-pressed to have another experience of this kind of Goa, as life is often centered around the beaches here, but the equally enchanting rivers are now getting their due. Book it for an event and have an intimate, offshore experience with a hundred of your closest friends. Truly as unique as the name implies, the BSB, as it’s known, can be described as the Indigo Deli of Goa. With an ever-evolving menu of cocktails with fresh, local flavours and spirits including feni, sommelierselected wines and premium beers, this venue is a favourite with out-of-towners and discerning locals. There is a new special on the chalkboard every few days that represents contemporary Goa like no other, and owners Prahlad and Sabreen Sukhtankar are often at hand to make you feel even more welcome. Nothing pays off like originality, as this black sheep of a resto-bar was recently recognized as the best in the country by the Indian Nightlife Convention Awards. Get a glimpse of Panjim’s high-rollers, over truly original cocktails and small bites like the Prawn-Apple Chaat and Konkan Style Grilled Chicken Bites. Impress your friends with your insider knowledge of Goa’s hot spots. 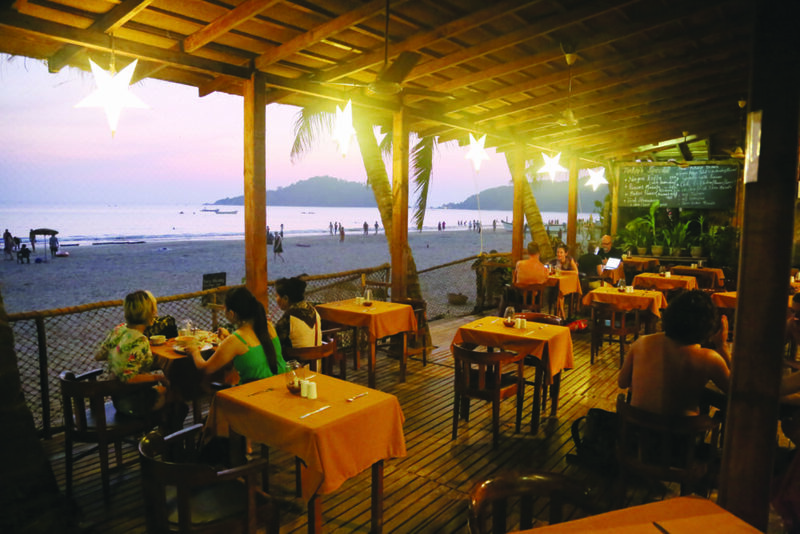 When the sun sets on gorgeous Palolem Beach, this is where you should go for a lively evening, with fantastic tapas. Situated next door to each other and right on the beach, the ambience can hardly be better. Ciaran’s is the louder of the two, with live music and crowded tables, but in a swanky setting. Tapas has debuted more recently, but is the perfect setting for a glass of wine and a game of Scrabble, at any time of day. The Spanish tapas to try include the calamari, the prawns in garlic oil and the marinated olives. The only place on this list that is located right on the beach. Listen to the waves as you sit at Tapas, mixed with music from Ciaran’s next door, and graze on the fantastic offerings of small bites, for a fun and relaxed evening. This hidden gem in the quaint village of Saligao, not far from the beach belt of Calangute and Candolim, makes Monday nights unmissable, with its superb live music. The sangria pitchers are truly flavourful, as is the food in this contemporary Goan village tavern. The restaurant and bar are on the upper level of a restored house, with a balcony wrapped around it. 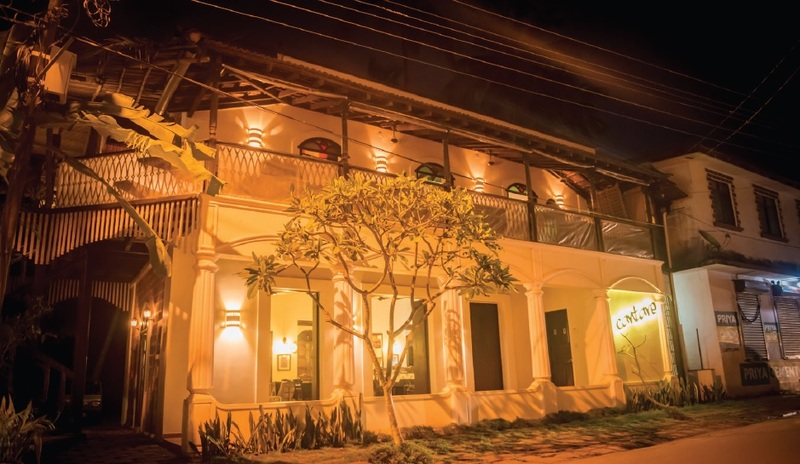 The best feature of Cantare is the ‘insider’ crowd that it tends to attract — a fun mix of alternative and fun-loving local residents and in-the-know visitors to Goa. You’re guaranteed to have a good time, and possibly meet like-minded friends. Owners Mervin and Maurice Britto, who are brothers, are warm hosts and have a loyal following of regulars, with whom you can cheer your favourite team during a live match screening. A breath of fresh air on the music scene, this charming al fresco café and bar encourages original, indie music every Wednesday, along with film screenings, salsa and other interesting happenings on other evenings. You can dine in a human-sized birdcage or chat up an expat at the outdoor bar. In fact, it’s a great place to meet new people, with pool and other gaming options always around. The contemporary North Indian fare is well received, as are the phenomenal desserts, like the Banoffee Pie made in-house. 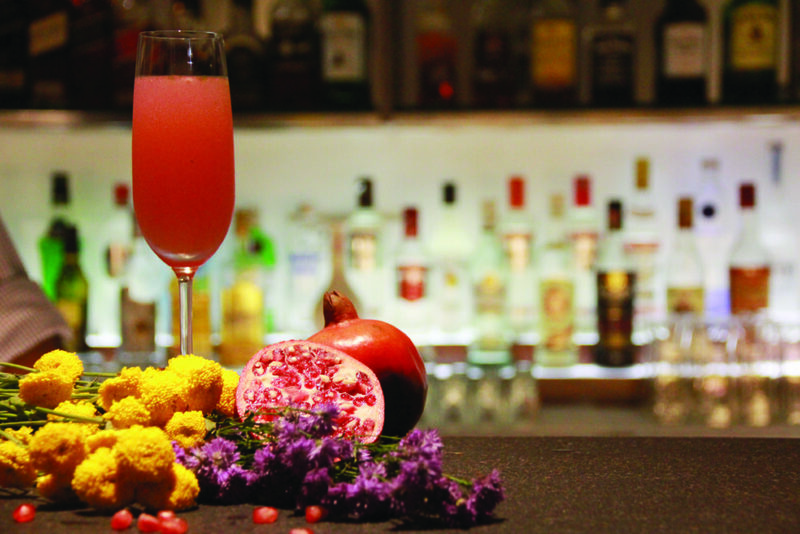 Located in the Tamarind Hotel in Anjuna, the fresh tamarind-flavoured cocktails are a must-try. There’s something different going on almost every day of the week. You can also take your date to Bachata classes on Mondays and Salsa on Saturday evenings. And if you stay here, climb up to the Miraculous Cross nearby for spectacular views. A rather recent addition to this list, the owners of the Sinq club have already made Soro a must-stop on most people’s Goa itinerary, in under a year. 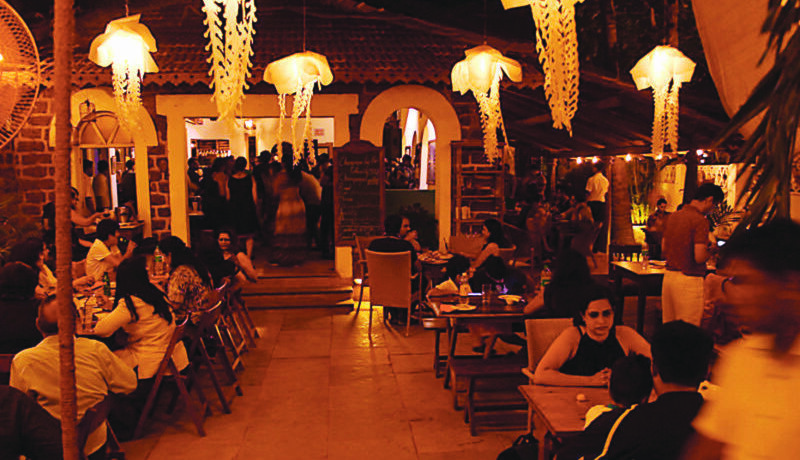 With live music indoors on many nights, a well-designed rustic ambience and a nice menu, it became a hit with young Goans and the international community that lives nearby in the hip Assagao area. Named after the Konkani word for booze, Soro maintains its Goan soul, while appealing to a global crowd. Located between the newer party hubs of Siolim and Vagator, it’s a convenient hangout destination. Since it’s new, it also attracts a healthy sized crowd. You can play pool outside in the balcony, and order from the live grill. Built across a waterfront, with a view of the river and marina, this spacious restaurant and bar is a wonderful place to while away your time during the day, and also at night. The seafood dishes like the Snapper, Stuffed Crab and Kingfish Recheado get rave reviews here, as do the frozen margaritas. If you like sweet drinks, then the strawberry is for you, or else the watermelon is more subtle. A stone’s throw away from the Leela hotel, Fisherman’s Wharf has a newer branch in Panjim, but its older version in Cavelossim is so attractive that people drive over an hour south to experience it. If you’re staying at a starred hotel in South Goa, and are looking for a place to fill up on all the Goan seafood you can get your hands on, this is the place. Throw in a large cocktail and live music, and you have yourself a recipe for a satiated evening. 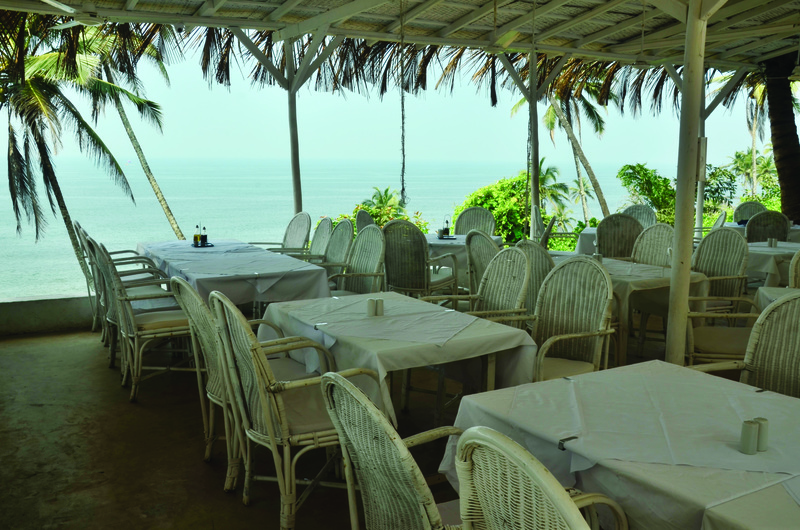 Consistently popular, this cliff-top resto-bar in Vagator has achieved cult status. Every new restaurateur in Goa wants to emulate Mariketty Grana, the gregarious Greek entrepreneur who has managed to stay on top of her game year after year. Perhaps it is the fact that we as Indians find Greek cuisine and ambience exotic, or that it is simply a fun place to break plates (yes, it’s encouraged, in fact), watch sensational performers and indulge in delicious gyros. There is even a Thalassa in Mumbai now — no, not the pop-up at Olive on the Race Course grounds, but a permanent fixture in Khar. Some visitors consider their trip to Goa incomplete without a stop here — that’s if you can get a reservation. There’s always a party atmosphere here in the evenings, so go with friends, not necessarily for a romantic date. Moving southwards, Firefly is known for its feni cocktails, since the owners also own the premium brand of the local brew ‘Cazulo’. Located close to Benaulim beach, it has a nice outdoorsy ambience and fun karaoke nights. You can try local specials here like Masala Prawns and Chicken Xacuti, but don’t miss the Spicy Feni cocktail. At off-peak times of the year, Firefly may well be the only venue open late, so it’s a happy respite from the otherwise sleepy beachside villages. There’s different genres of music every day, a good crowd, and it feels alive in the quieter monsoons. 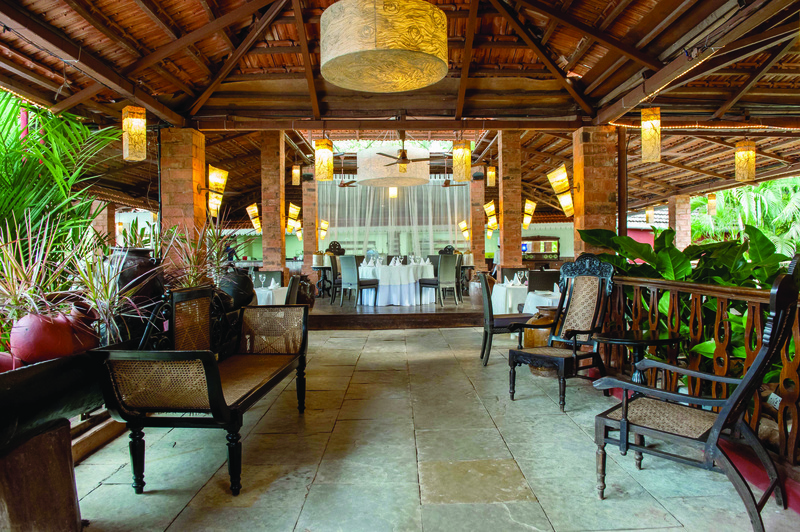 For those who love South Goa and want a fun evening out, Firefly offers all the tick marks. 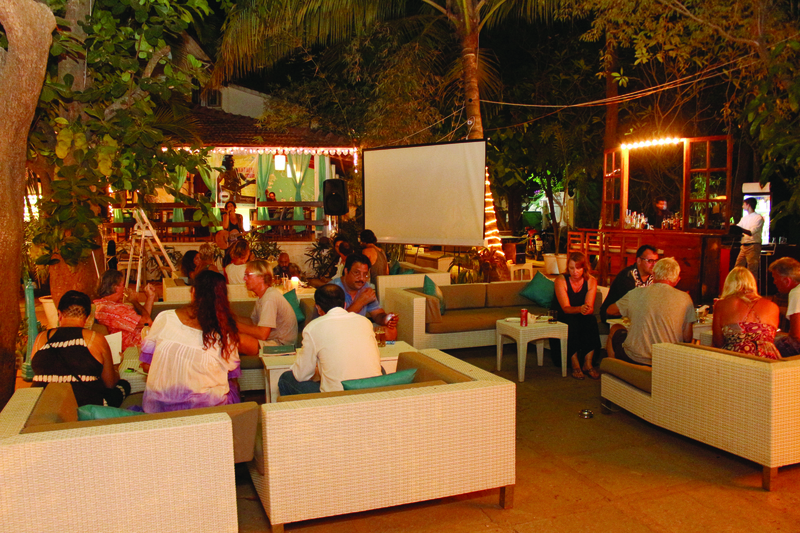 For a classic Goa experience, head to Cavala on Baga Beach Road on a Friday night. The band Tidal Wave whips out a catchy set of retro hits from the’ 60s to the ‘80s, and the indoor dance floor is packed with a happy mix of tourists and regulars. 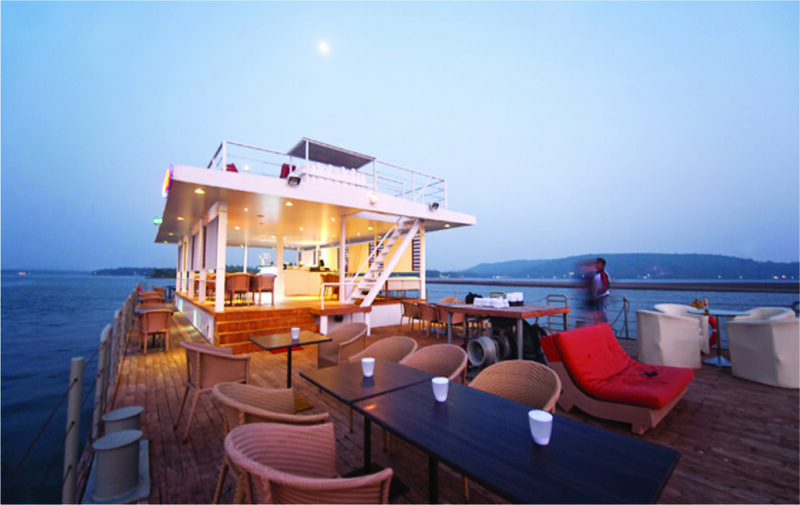 If you have recently moved to Goa and are looking to meet people, there’s no better introduction to the social scene. There is outside seating as well as a hotel attached to the legendary venue. You may recognise the owner, Marius, from his bushy moustache and congenial personality. Don’t be shy to go up and strike a conversation. There may be a cover charge and couples-only policy, but it will be well worth it. If you’re traveling solo, Cavala may be your lucky charm. All you have to do is ask a lady to dance, and you’ll probably get inducted into her larger group of friends. It’s in the heart of Baga, Goa’s party central, but attracts as many local residents as it does tourists, making for a classic Goan night out. This is by no means an exhaustive list, as some would say Cohiba should also figure somewhere on it, even if you’re not allowed in with slippers on. 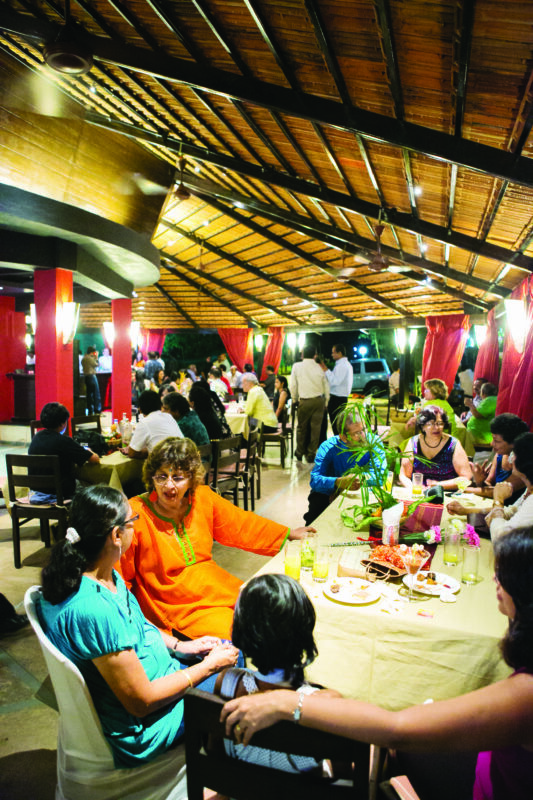 Crowds throng their live music events and tourists let their hair down in this spacious destination near Fort Aguada. There is also Maracas in Porvorim, with their sinfully tasty cocktails and fiercely unique menu. The café ambience, with its hand-drawn chalk list of specials, makes it hard to believe you’re in bustling Porvorim and not in San Francisco. There’s a new venue opening almost every week this season and the bar keeps getting higher, so explore away and leave a review to tip off the rest of us.